Along with a clever name, this gadget may be essential to your iPod. iDrops is a special formula designed to clean, protect, and remove all scratches from your ipod. 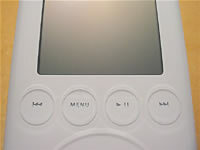 It was developed with simplicity in mind, requiring just one polish and your iPod should be good to go for a long time. It brings new life to your iPod’s polycarbonate or acrylic surface, depending on the model you own. iDrops works safely on all iPods. To use the iDrops solution, simply squeeze a few drops onto the surface of your iPod then lightly buff it with a clean, dry and soft cloth. You only need to do that for 15 seconds and your iPod is magically healed (hopefully!). If not it is perfectly safe and encouraged to repeat the process as many times as necessary, depending on how rough you treat your iPod :). The iDrops solution isn’t just for iPods, though. It works just as well on cell phones, game boys, DVD’s, all the good stuff! There’s no more excuse not to have clean, unscratched gadgets! 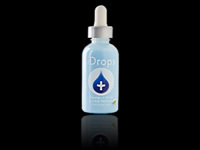 iDrops is available from podshop for $14.95, quite a bit better of a deal than buying a new iPod ;). 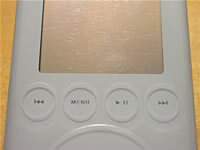 Below are before and after images of a 3G iPod. I have tried this stuff, and truly did not find it to work… after that I ended up buying iCleaner… way better and it also works on the back of the iPod. icleaner was a huge waste of time and 20 bucks for me.